As cliche as it sounds, blogging has certainly gained me some friends for life and it's all down to attending events with like-minded people. It's amazing how a shared interest can create the best of friendships with people who were complete strangers beforehand. 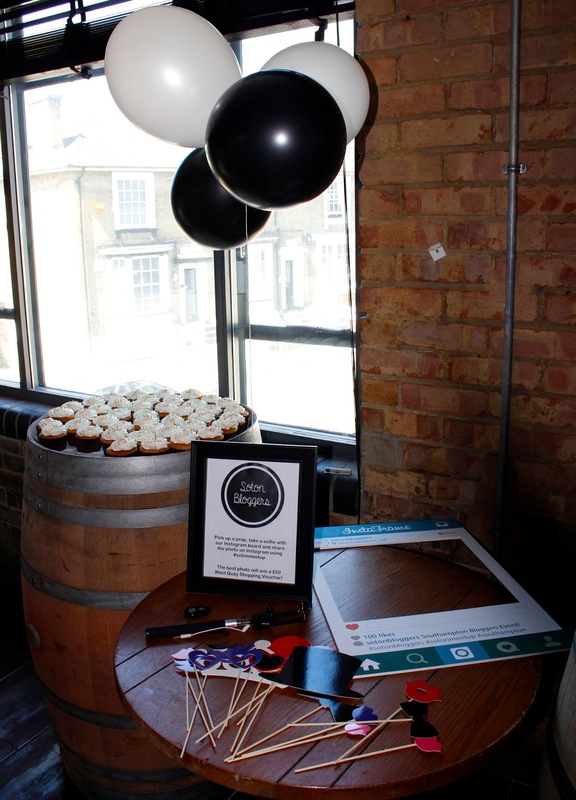 Saturday 8th August marked the return of the Southampton Blogger Event and this time round it was bigger than ever. A selection of 40 bloggers descended upon Revolution in Southampton for yummy food, fab cocktails and a whole lot of socialising. Who'd have known there were so many of us in one area? There were some familiar faces and also a selection who I had never met before - apart from on the internet of course, because what would we do without pre-event chat on social media?! The event was focused around fashion and beauty and provided everyone with the opportunity to chat to different brands that were there on the day such as ESPA, Hairfinity & online boutique Out Come The Wolves. We were all kept energised with Jude's Ice Cream, Love Cake Bakery & Cake Cetera who provided the treats. There was an insanely good raffle raising money for the Epilepsy Society with a selection of prizes including, a Benefit Cosmetics hamper, West Quay shopping vouchers, London Fashion Weekend tickets, a polaroid camera and many more. A total of £350 was raised for the charity, which is just brilliant! I won a free meal for four at Revolution, so looks like I'll be heading back for more pizza, mmmm! Once again, so many brilliant brands got involved to provide TWO goody bags each in total, such as Virtue Ice Tea, Hotel Chocolat, Vita Coco, Emmi CHOCO LAIT, Weleda, Cheerz, St Moriz, Chill Hair and many more as you can see from the sheer amount of goodies. If you are a local blogger and would like to attend events like this, then keep up to date on @sotonbloggers twitter & instagram.